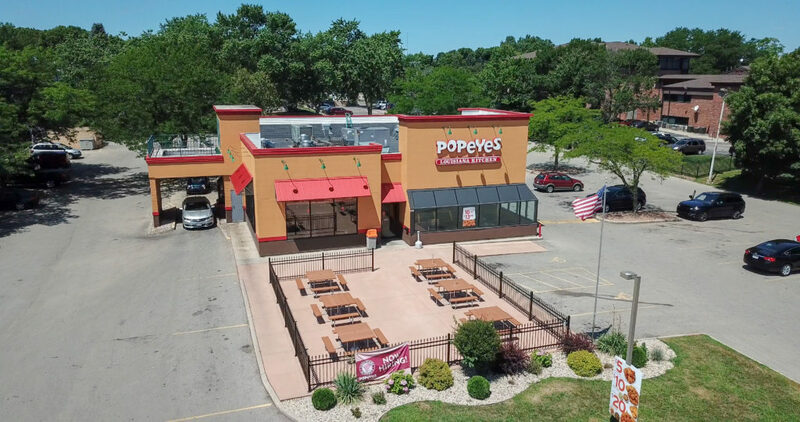 Chicago, IL (April 1, 2019) – Quantum Real Estate Advisors, Inc. has just completed the sale of a freestanding 4,442 square foot Popeyes located at 2844 Fish Hatchery Rd., Fitchburg, WI. The property sold for $2,880,000. There were approximately 20 years left on the lease at the time of sale, which was the longest Popeyes lease on the market. The Seller was a Chicago based developer who specializes in acquiring and developing net lease properties. The buyer was a private individual based in Seattle, WA. Both Chad M. Firsel, President and Zack Hilgendorf, Vice President of Quantum Real Estate Advisors, Inc. represented both parties in the transaction. Quantum Real Estate Advisors, Inc. (www.qreadvisors.com) specializes in investment sales brokerage, assisting clients in the acquisition and disposition of commercial real estate. Quantum has the capacity through strategic alliances to offer full-service leasing brokerage, receivership, management and financing. © 2019 Quantum Real Estate Advisors, Inc. All Rights Reserved.